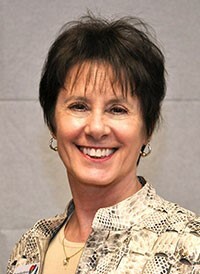 Dr. Marge Charmoli (she/her) is a psychologist in private practice in St. Paul, Minnesota; has taught at Macalester College and the University of Minnesota. Extensive public speaking experience to lay and professional audiences, local, national, and international, on sexuality, sexual orientation, spirituality, mental health, addiction recovery, trauma, school violence, disaster preparedness/response, and professional development. Radio and television to educate the general public about depression, stress, sexuality, disaster preparedness, and human rights. Produces and co-hosts Bi Cities, cable television program about the bisexual community and our friends and allies. Consultant to the U.S. Department of Health and Human Services on substance abuse treatment for the gay, lesbian, bisexual, and transgender communities. Member of the American Psychological Association Council of Representatives and the Minnesota Psychological Association (MPA) Governing Council. Past president of the MPA and current chair of its Marriage Equality Task Force. Received the MPA Diversity Award in 2012 for educating psychologists and the general public about the psychological harm created by anti-gay initiatives such as the constitutional marriage amendment which appeared on the Minnesota state ballot in November 2012. 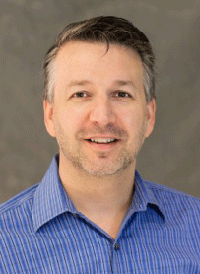 Mike Crandall (he/him), Dallas, Texas, has worked for the past 23 years in the telecommunications industry, currently as an Assistant Vice President of Infrastructure Program Management for AT&T. Married to Shawn Hudson since August 2012, his personal interests include cooking and food, theater and film, and travel. 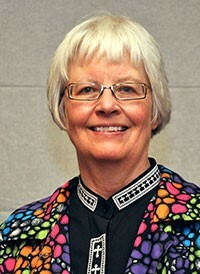 Ellen Taube (she/her), from Virginia, Minnesota, is a retired ELCA pastor and a member of Reconciling In Christ congregation, Gloria Dei in Duluth, Minnesota. In 2015 Ellen co-founded two LGBTQ support groups: “S.A.F.E. in Virginia MN” for adults (“Supporting Allies, Family, Friends & LGBTQ for Equality”), and “Range Together for Youth” for ages 14-20 (affiliated with Lutheran Social Service of Minnesota). Married to Marlise Riffel since October 2013, her interests include divine comedy, power tools for home maintenance, gardening, and hydroponics. Born and raised Baptist in Kansas City, Missouri. 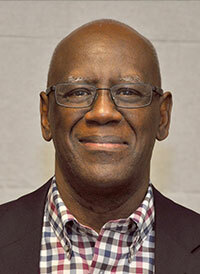 Herman (he/him) attended Northwestern University, obtaining BS and MBA Degrees. At his first job out of college, he met his wife, Mary, a Lutheran from Minnesota. They have been blessed with two adult daughters and three fantastic grandchildren. They have been members of Prince of Peace Lutheran Church (RIC Congregation) Schaumburg, Illinois, for the past 30 years. Herman has served the faith community in a variety of ways at the congregational, synodical, regional and national levels. His professional career began as a CPA with a “Big Eight” Firm in the Chicago, Illinois area, followed by more than 20 years of financial management positions with large corporations. For the past 15 years, he has had a tax, financial planning, and business consultative practice, providing services in about 35 states and 6 countries. 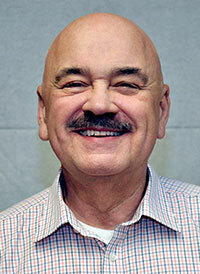 Herman is very pleased to be a part of the ReconcilingWorks family. 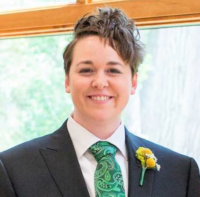 Jason Clifton (he/him) was raised in the heart of dairy country in rural Wisconsin. We were members of a rural congregation, you know that little white country church with the steeple and bell tower, and the cemetery right outside the front doors. It was in this setting that I heard the call to ministry. In 2006 I moved to Seattle to attend Trinity Lutheran College. At that point I figured I would never be able to serve as a pastor in the church. However, it was my time in Seattle where I learned to live into my full self, including what it meant to be a gay man. I have always loved rural living and farm life. After I graduated in 2010 I spent a year as a residential volunteer at Heifer Farm (Heifer International) in Rutland, MA. A year set aside for discernment regarding seminary. In 2011 I began my studies at Luther Seminary in St. Paul. I served as an intern at Trinity Lutheran Church (non RIC) in Vermillion SD. 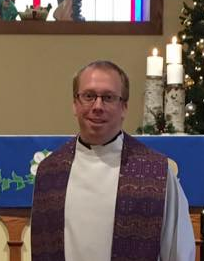 During my final year of Seminary, I also served as an interim for Pleasant Valley Lutheran Church (non RIC) in Eleva, WI. I have been serving Our Savior’s Lutheran Church (non RIC) in Solon Springs, WI since they extended a call to me in the fall of 2015. The congregation and the community have been a great fit. Pastor Lenny Duncan (he/him) is a follower of Jesus Christ and is in a passionate love affair with Grace. 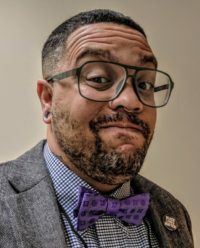 He was issued a call to serve the people of Jehu's Table from the Metro New York Synod of the Evangelical Church in America as a mission developer (church planter.) He is also a frequent voice on the intersection of the Church and the cries of the oppressed. He pays special attention to Black Liberation movements in his work, but lifts up the frequent intersection with other marginalized peoples. He believes that the reason the ELCA has remained so white is a theological problem, not a sociological one. He holds a Bachelors of Arts from Lancaster Bible College, in New Testament Theology, and Ministry. He also holds a Master of Divinity from United Lutheran Seminary. Jennie Strunk (she/her) was born a Southern Baptist in Manassas Park, Virginia. She lived in Virginia for 13 years, and then in Idaho for the next 13 years, where she obtained her MFA in Creative Writing. In 2011, she found her first Reconciling in Christ Congregation. There she experienced God’s fully inclusive love for all LGBTQ persons for the first time and was moved to dedicate herself to expanding ReconcilingWorks’ mission in order to create more spaces for LGBTQ Christians to worship in safety and belonging. Jennie now lives in Savage, Minnesota with her wife and two cats.